There are so many types of RVs out there to choose from. 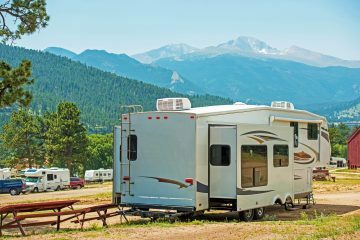 Some people want the whole motorhome experience while other drivers would prefer to hitch a travel trailer or fifth-wheel trailer to their truck or SUV. No matter your preferences, though, one deciding factor in which type of RV you’ll choose is the cost. RVs can cost between $10,000 and $300,000 depending on the style and features. A moderately-appointed camper trailer pulled behind a truck might cost $200,000, while a fifth-wheel may be $40,000. Most motorhome prices usually start around $100,000. As you can see, there are definitely some price fluctuations depending on the type of vehicle you’re most interested in. 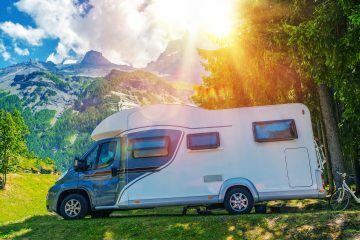 Once you narrow down the type of RV, you then have to consider the manufacturer and whether you want a new or used vehicle. These factors will again play a role in the final price you’ll end up paying. To give you an idea of what to expect all across the board, I’ve thoroughly researched the prices of 19 RVs of all kinds. As a disclaimer, these vehicles are all new and from 2018 (unless otherwise indicated), so do keep in mind that a used version of the RV may cost less. To augment the pricing, I will also explain the different types of RVs so you can make the best decision about which vehicle will best suit your lifestyle and your budget. Purchasing an RV is an investment that requires a lot of time and research. One way we recommend doing your due diligence is trying one before you make a purchase. Outdoorsy is a great way to find and rent cool RVs, and is a great way to make sure you’re ready to purchase your own cool adventure vehicle! You can see your local inventory of RVs by clicking here. There were at least a dozen RV manufacturers represented in that list of 19 price points. Why was there such a wild fluctuation in prices? Why is a Heartland Bighorn Travel and a Winnebago Minnie Winnie—both travel trailers—almost separated in price by more than $30,000? Manufacturer reputation: Starcraft and Heartland are much smaller manufacturers than say, Thor Motor Coach, Keystone, or Jayco. If you see those three latter brands, you’re very familiar with them already. Such brands use their reputation and popularity to boost the prices of their products. Of course, these manufacturers also probably have more RVs you can choose from. For instance, the lesser-known K-Z RV only manufactures toy haulers, fifth-wheel trailers, and travel trailers. A company like Jayco though sells Class A through Class C motorhomes as well as other vehicle types. Age of the RV: A brand new 2018 or even 2019 RV is going to be the most expensive model on the market. That’s just how it is. If you shop for an RV that was produced in between 2014 and 2017, you could shave hundreds if not thousands of dollars off the price of your vehicle. Availability of the vehicle: How widely-available is the RV? Is this a vehicle from a big brand name like Jayco or a smaller manufacturer? For instance, in my research, I stumbled upon an RV brand that only sells its vehicles in Canada. Obviously, if you buy an RV from a manufacturer like that, you can expect to pay more since the vehicle is not as widely available. Floorplan: I admittedly randomly picked the floorplans for all 19 RV examples above. Some were the smallest and thus the least expensive floorplans and others were the biggest and thus the most expensive floorplans. 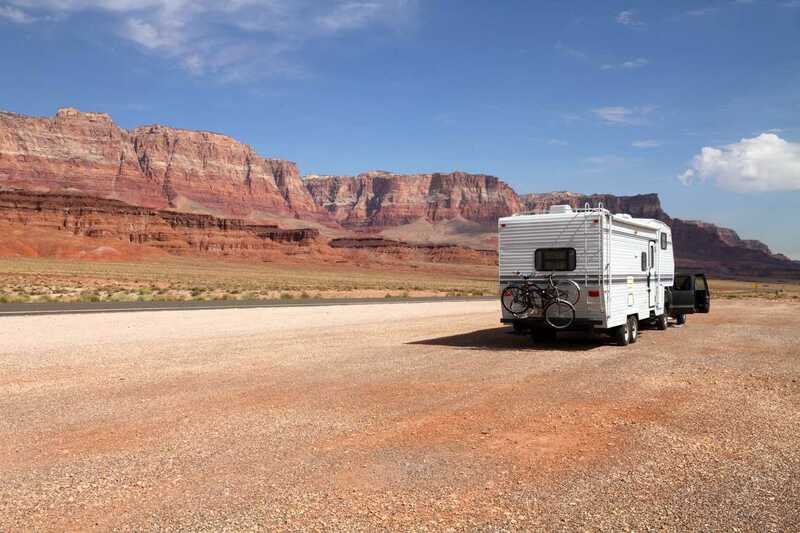 The more space you have for queen-sized or king-sized beds, full bathrooms, full kitchens, and larger dining and living spaces, the more money you’ll pay for your RV. Extra features: The prices above are all baseline prices. This does not account for any customizable extra features you may want to get. 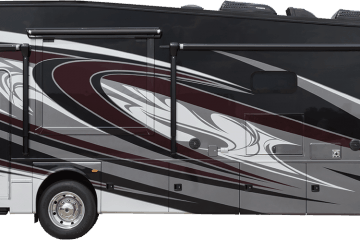 Some people opt to choose the flooring, décor materials and patterns, interior, and exterior color of their RV. Others want as much high-tech equipment possible, like built-in TVs. That’s all fine, but you can certainly expect to tack on several more thousands of dollars to any of the prices above if you get extra features. With the price out of the way, another big consideration you’ll have to think about when choosing which type of RV is best for you is the vehicle type. There are tons of different RVs out there to choose from. In this next section, I will go over each of those types in-depth. This will help you make an informed shopping decision. Sometimes called pop-up tent trailers, tent trailers are a type of travel trailer. That means that instead of driving the tent trailer itself, you would hitch it to your truck, SUV, or other vehicle and pull the trailer with you. These trailers are often small in stature but will include a kitchen space with a dinette as well as a bed or two. That said, you may sacrifice some amenities like a shower or a toilet. You can often cook in a tent trailer with an included stovetop. You should also be able to fit a smaller refrigerator in there as well. With windows or screens, your passengers can enjoy the view no matter where your travels take you. These also allow for sufficient ventilation in the trailer so you don’t have to worry about the growth of mold. You can potentially squeeze in up to six adults in a tent trailer, so you can definitely bring the whole family on your RV adventures! Now, why are these called tent trailers? Well, because of the large retractable tent, of course. These tents are often made of canvas so they’re durable. They can withstand rain, wind, and light snow, but obviously, you don’t want to leave the tent open in the elements for too long. That could lead to rips, holes, tears, or other damage. If you’re the type who enjoys camping in the great outdoors, then a tent trailer is perfect for you. If you prefer something a little sturdier than a tent trailer, then you’ll probably gravitate towards a hard-side travel trailer. You get all the space you would out of a larger travel trailer with the security the hard sides provide. That means you can enjoy longer trips on the road, even in inclement weather. These trailers, much like tent trailers above, will connect to a truck, SUV, or equivalent vehicle that you will drive. Hard-side trailers have a unique design that’s often pointed at the top, like a triangle jutting out. While such a design may look a little funny from the outside, it’s one that you’ll certainly appreciate when inside this trailer. The door allowing entry into the trailer is often larger, and the sharp and angular design allows for the placement of more windows. Inside, you can fit many modern luxuries, such as a kitchen, cooking space, refrigerator and freezer, and a dinette. There’s room for beds and you may get more bathing options with a hard-side pop-up trailer than you would with a tent trailer. There should be adequate space for either a toilet or a shower, but very rarely both unless you want to shell out for the biggest floorplan available. There are no pull-out tents with hard-side pop-up trailers, and you often don’t get an awning, either. While these are not as ideal for camping then, with so much space in your trailer, you won’t really mind spending your nights inside, sleeping away among nature until the morning lets you continue your journey. The last type of travel trailer we’re going to cover is the fifth-wheel trailer. These are often the biggest travel trailers of all, and some are almost comparable in size to a smaller motorhome, such as a Class B. They tend to include floor plans with multiple levels and can measure as long as 40 feet. They’re also often the most expensive travel trailer. Six passengers can comfortably stretch their legs in this trailer, which must be attached to a pickup truck by a specialized fifth-wheel hitch. Smaller vehicles will likely not be able to pull the pure heft of a fifth-wheel trailer. Luckily, there are some fifth-wheel trailers that are made to weigh less and be compatible with those vehicles. Here’s something you didn’t know: because they’re so similar in size and stature to a motorhome, you may need a non-commercial’s driver’s license to operate a fifth-wheel trailer. This all depends on the state in which you live as well as the weight of your trailer. There may be several picture windows in your trailer, which allow the best views out of all the trailer types we’ve covered. You also get a few slide-outs (sometimes as many as four), which provides more space if you need it in the living area or bedroom. These may expand three feet or more! Speaking of living, you’ll be able to do it more like you would at home with a fifth-wheel trailer. You will have plenty of storage space, more entertainment options (which is great if you have kids you’re traveling with), great cooking amenities like a stovetop and perhaps even a mini oven, a bigger dining area, and more bathing options. You should expect a toilet and a shower in your fifth-wheel. There’s also room for several beds. Then there are motorhomes, which are by far the largest vehicles of all. You do drive a motorhome, unlike a travel trailer. This can take some practice and getting used to at first, because you have to change your driving techniques to accommodate for the extra length, weight, and heft of a motorhome. Motorhomes are often divided into three classes: Class A, Class B, and Class C. Of these, Class A weighs the most. This RV thus has the space for the most passengers as well as the most room to relax and kick back. Some of these vehicles may be up to 45 feet long at most, with the shortest Class A motorhomes often 25 feet. Still, even if you get a smaller Class A RV, you’ll still find there’s more room in this than any of the trailers outlined above. If you’re the type who always brings friends or family with you on long road trips, then a Class A motorhome will give everyone the room they need. There should be a sense of privacy for each passenger, although there probably won’t be individual beds for four or five people. Instead, you may get two king-sized (and maybe even California king-sized) beds and perhaps bunk beds for the kids. Speaking of space, the ceilings are often the tallest of what you’ll find in an RV. This is ideal for taller passengers who feel like they can never stand straight up when in their vehicle. You also get plenty of storage space for stashing clothes, gear, equipment, food, and other essentials. Some of these storage spaces are obvious, while others are subtler and may be retractable or otherwise hidden. You should be able to fit a full kitchen, with a refrigerator, freezer, oven, stovetop, and even a microwave. You could even have a full bathroom with a sink, shower, and toilet. The views are the best. Not only is the gargantuan windshield amazing, but Class A motorhomes often feature great panoramic windows throughout the vehicle. Of course, Class A motorhomes are going to be the most expensive, so that is something to keep in mind. Then there’s Class B motorhomes. 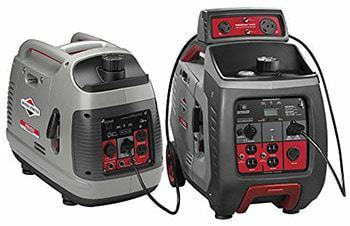 These are the most lightweight of the three classes and are comparable in size to most large travel trailers (but with the security of a motorhome). If you only bring a passenger or two with you, then you should have no issues with the limited space of these vehicles. 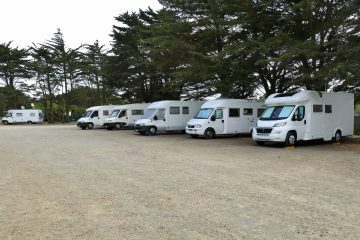 If you prefer to bring more, then you may want to look into a Class A or even a Class C motorhome. You may get a single queen-sized or king-sized bed here and perhaps a pull-out couch as well. There’s no room for bunk beds for the majority of floorplans. You’ll also have far less storage space and fewer windows. The kitchen nook will be smaller, and you may have to forego a shower or a toilet with some floorplans. You also can’t expect as much in terms of views, as there won’t be as many windows. You will have to pack lighter too to make up for the smaller storage areas. That said, out of the three classes, this is by far the cheapest type of RV you can get, so that’s beneficial. Lastly, there are Class C motorhomes. 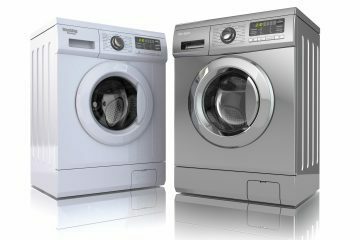 Think of these as the in-between option between the heft and high prices of Class A and the much smaller size and affordability of Class B. Talking money, Class C motorhomes will be more expensive than a travel trailer or a Class B motorhome, but not quite as costly as Class A. In short, you’ll probably be able to find one that’s about six figures or just under. There’s not as much space available with Class C motorhomes, so there may be an overhead bed and maybe a second queen-sized or king-sized bed in the bedroom nook. If you travel with a spouse or romantic partner, you can take that second overhead bed and make it a living room area, office, or anything you want. If you feel your Class C motorhome is a little cramped, this is a good idea. There will also be less of a learning curve when it comes to driving your Class C motorhome. This weighs far less, so if you’re used to handling a bigger vehicle, like a heavy-duty truck or SUV, then driving this RV should be a piece of cake. The same goes for Class B motorhomes, by the way, which are the easiest of the three to drive. The length of these motorhomes is often 24 feet. There’s decent storage room, especially if you convert the overhead bed space into something useful. You can generally expect a couple of windows, but not as many as a Class A motorhome. The windshield will also not be nearly as big as well. The kitchen and bathroom nooks are of course smaller than a Class A, but not as much so as a Class B, so there’s that. You may have to forego some kitchen amenities, though, which isn’t a huge sacrifice. It’s best to keep your passenger limit to two, maybe up to four people depending on the brand of RV you choose. If you’re contemplating buying your own RV, it helps to know how much you can expect to shell out. Remember, the age, manufacturer you choose, condition of the vehicle, and additional features will all influence the cost, driving this up or down. 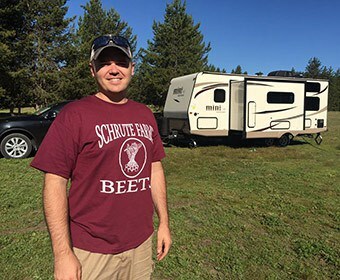 The 19 RV prices included in this article are a good baseline. You should use this data to start budgeting for your own RV. Not that I don”t think Jayco cannot afford the tax but it seems or neighbor is showing some greed. 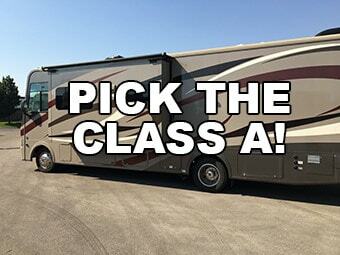 Class B is definitely not the cheapest motorized RV, as you state in your article. Have you priced out Road Trek, Pleasure Way, etc., whether new or used? In fact, Class B is the most expensive, if you look at the cost per square foot. I heard Jayco’s are trash, I have nothing to base that on, just heresay. My RV is a 2012 shadow cruiser, so far so good, just a minor problem here or there. You have to have a handy mindset if you want to own an RV… just my opinion. Been RVing for about 25 years. 1 5th wheel, 3 motor homes. Llike traveling in a motorhome the best, but prices are getting crazy. Plus, you had better be handy both mechanically and jack of all trades with any RV. The worse about all is lack of quality control. However, you also must keep in mind that when driving down a highway or pulling a trailer, particularly the freeways in CA which are crap, it would be equivalent to your home going through an 7.0 earthquake. However, another downfall is the lack of good and reasonably priced RVParks. When we started out, the price was average of $15 to $20 a night. Nowadays you are looking at at average of $45 to $75 a night depending on amenities. We are just about out of the RVing lifestyle due to costs.